There are over 1000 serious injuries in the UK every year as a result of forklift truck accidents, according to the Fork Lift Truck Association. As you might expect, the frequency of these events increases during the winter, when the days are darker and conditions are more hazardous. A lot of the time, these accidents come about due to human error, whether that's not wearing the correct equipment, not following the proper vehicle safety procedure, or a lack of training on working in poor conditions. Once the mercury drops, working conditions can start to have a negative effect on workers. Being exposed to cold temperatures for a prolonged period of time can cause cold stress, hindering employees' concentration levels and impacting their cognitive abilities. This is particularly dangerous for those that are responsible for using large and complicated machinery, such as forklift operators. In winter, employers will need to provide insulated clothing such as coats and thermal layers, as well as hats, hat liners, and gloves. Employers will also need to consider implementing hi-vis clothing, such as trousers and jackets, as well as selecting sturdy and waterproof footwear options. Making sure workers have the right equipment is crucial to winter safety, but so is proper training. You must ensure that all workers are qualified in the jobs they are doing, especially when it comes to operating machinery. Forklift operators who have been trained to a high standard will be more comfortable behind the wheel and able to minimise risk, improving safety for everyone. While anyone can operate a forklift without a license (unless using a public road), it is important that operators are briefed to take things slower when conditions are bad and, if necessary, hold off on the job until the weather improves. It might be a good idea to supplement on-site learning with an online health and safety course, so workers are fully aware of safe practices. Just like humans, working in cold weather is also bad for forklifts. That's why forklift protection is just as important as PPE. Aside from following the general safety advice that comes with the forklift, it might be an idea to purchase some forklift covers, which can protect the cab from wind and rain. 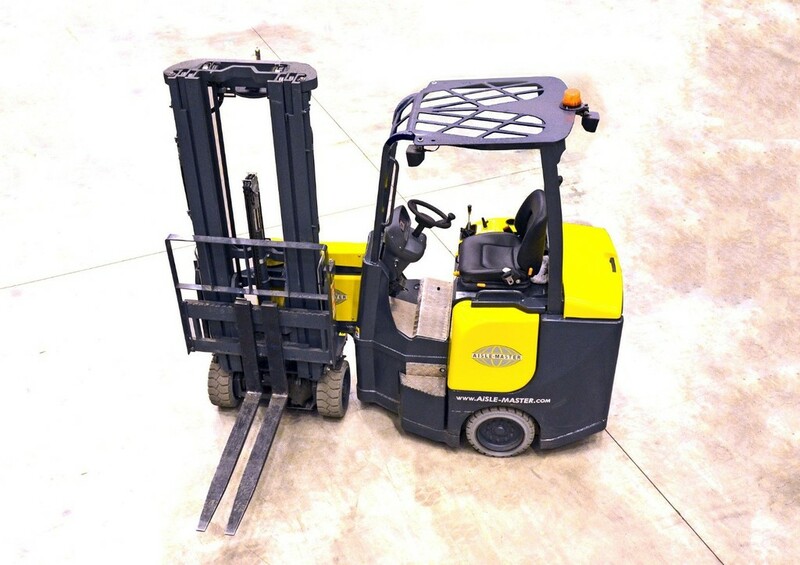 If possible, get pneumatic tyres installed to increase stability when conditions are bad – just be sure to check your forklift handbook to see if this is suitable for yours. If this isn't appropriate for your forklift, tyre chains and studs can be used for additional grip in ice and snow. Care should be taken at all times when operating a forklift, but especially so during dark and icy conditions. If working at night, it is wise to increase visibility by using floodlights, and even install additional lights onto the vehicles themselves. Forklifts should be looked after to ensure they have plenty of fuel, oil, and de-icer, and regular checks should be carried out on each forklift. Before use, operators should always allow the forklift to warm up for several minutes so the engine can be kept at optimal performance. By making sure workers know what they are doing, forklifts are properly maintained, and care is taken, you can drastically reduce the chances of an accident happening this winter. This article is to be used as a brief introduction to improving forklift safety during winter. For further information on employer responsibility and PPE, please visit the HSE website.